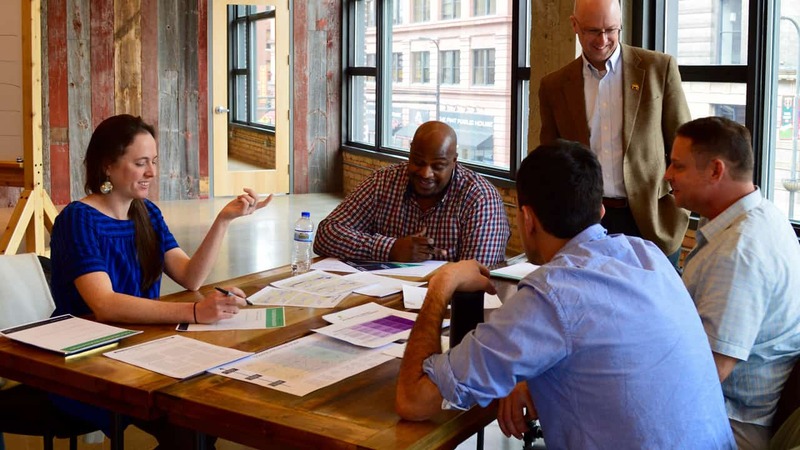 The Minnesota Department of Transportation (MnDOT) is “Rethinking I-94” by evaluating transportation needs along the interstate corridor between downtown Minneapolis and downtown St. Paul to inform its upcoming reconstruction. The initial planning of the I-94 highway corridor in the 1960s lacked public input, creating contention and distrust that persists today. To support MnDOT’s commitment to inclusive engagement, 106 Group, as part of a broader consultant team, developed historical and cultural overviews of the main communities along I-94, including information to help develop cultural competency among MnDOT staff. Visual “culture maps” showing places of significance along the corridor were also created for each community. The overviews were praised by MnDOT project staff and employees from each community who served as peer reviewers. Positive feedback included highlighting the histories of key stakeholders and for their potential to inform more culturally relevant future engagement.